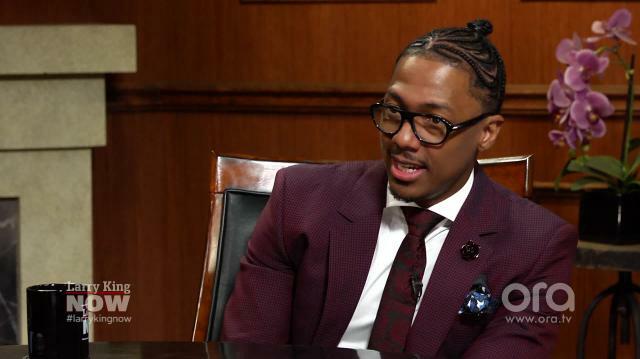 Tired of seeing slave films, Nick Cannon tells Larry he plans to make a $200 million “African epic” that celebrates black history. King: Like "Roots?" Cannon: No. The opposite of "Roots" Larry.I actually got on my soapbox recently and said I'm tired of seeing slave movies.I feel like that's something that’s constantly perpetuated and pushed forward and it's like okay we get it. And I, you know to me personally, I like to receive my history from books, I don't really want to see actors acting it out and studios profiting off of, you know the bloodshed of slavery. Cannon: Is it though?So, to your point. King: From a Holocaust standpoint, yes. a content creator… King: You want to do a Black epic of? audience as any of these other comic book films and these epics that are being portrayed about characters that aren't really represented from our community. So that's my goal,I'm gonna step out. I gonna make a 200 million dollar African epic, and everybody's gonna love it.